A notable event in his career occurred when Dare ran afoul of PEZ Candy, Inc. with his popular drawing, 'Shirley Temple in PEZland.' 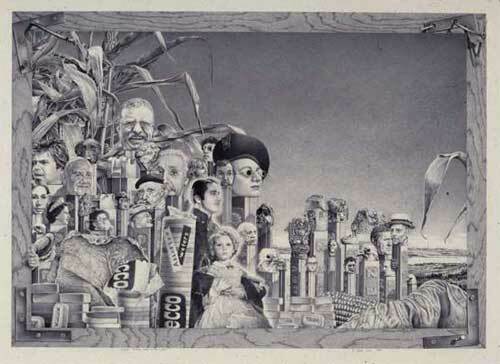 The drawing features a forest of PEZ dispensers adorned with the heads of famous figures including Teddy Roosevelt. PEZ sicced their lawyers on the artist and sent him a cease and desist letter. In typical Dare fashion, he now attaches the letter to each PEZland print he sells. Shirley Temple Goes to Pezland, 1983.